Notes: One superking room, space for cot. 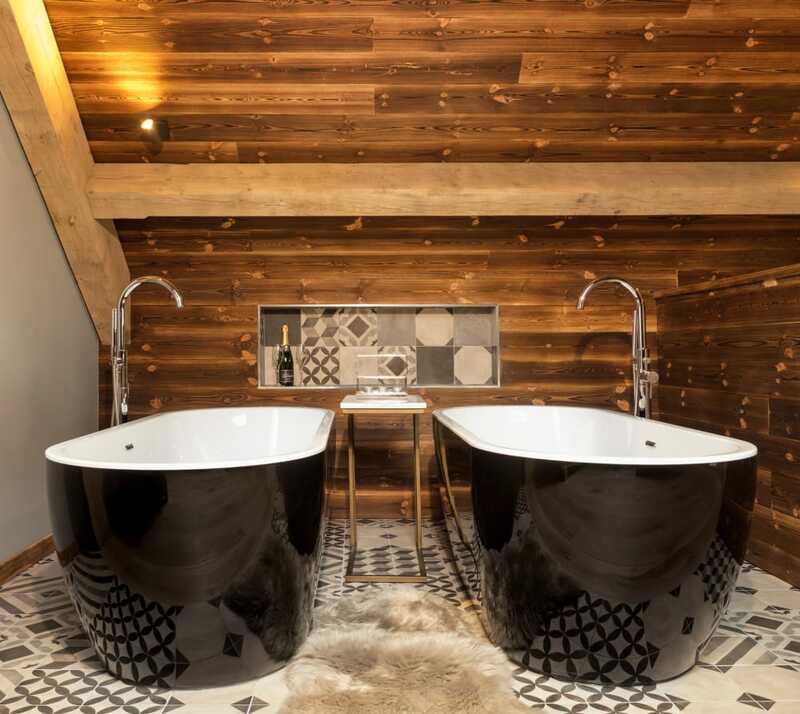 An additional 2 guests can be accommodated upstairs on the gallery where the freestanding baths are situated. There are 2 chairs that convert into comfortable beds. Please be aware that the gallery is open plan to the living area below. 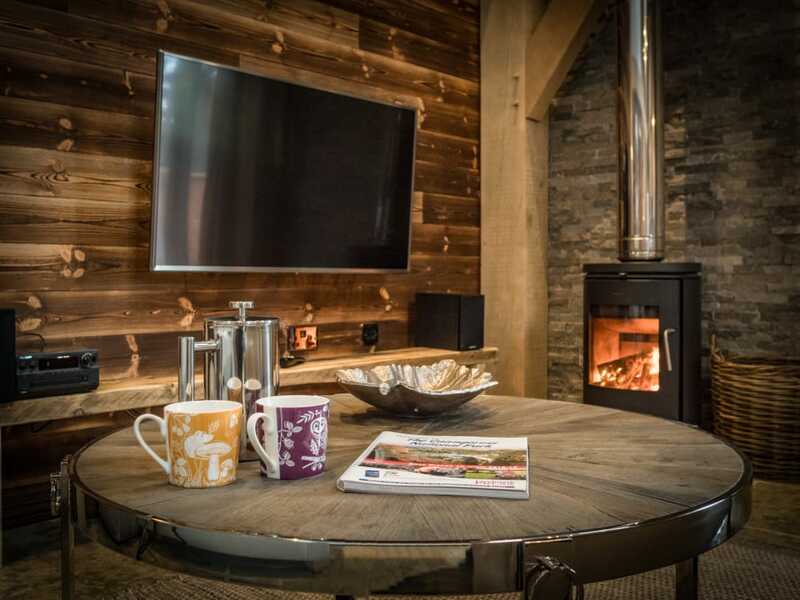 Macdui Lodge is a detached luxury self catering handcrafted Oak Frame cabin in the heart of Aviemore. 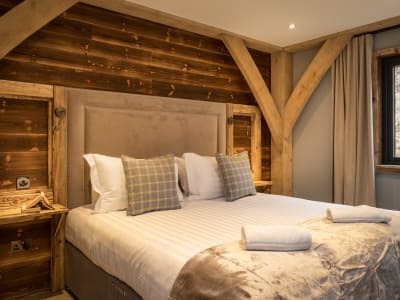 Built using traditional techniques the Oak posts and beams are hand planed and jointed complete with wooden carpenter pins. 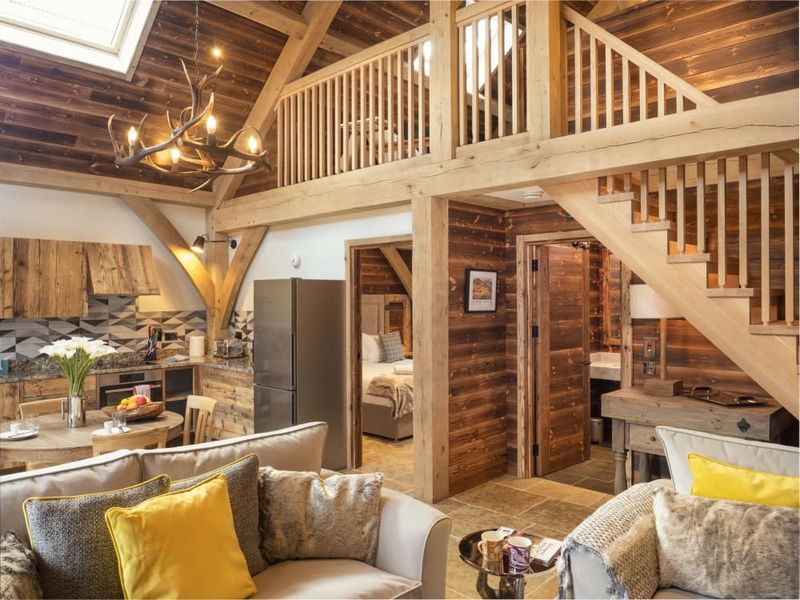 The entire Oak Frame is exposed internally to make the most of this unique and authentic building method. Sleeping 2 guests in complete comfort, Macdui Lodge is ideal accommodation for couples looking to relax and explore in the area. There is ample space for an infant cot. Additionally sleeping for 2 additional guests is possible upstairs where two Futon chairs convert into single beds. Please be aware that the galleried area is open plan to the living/kitchen area below (i.e. it cannot be closed off for complete privacy). Macdui Lodge is also great accommodation for Honeymoon couples and special occasions. 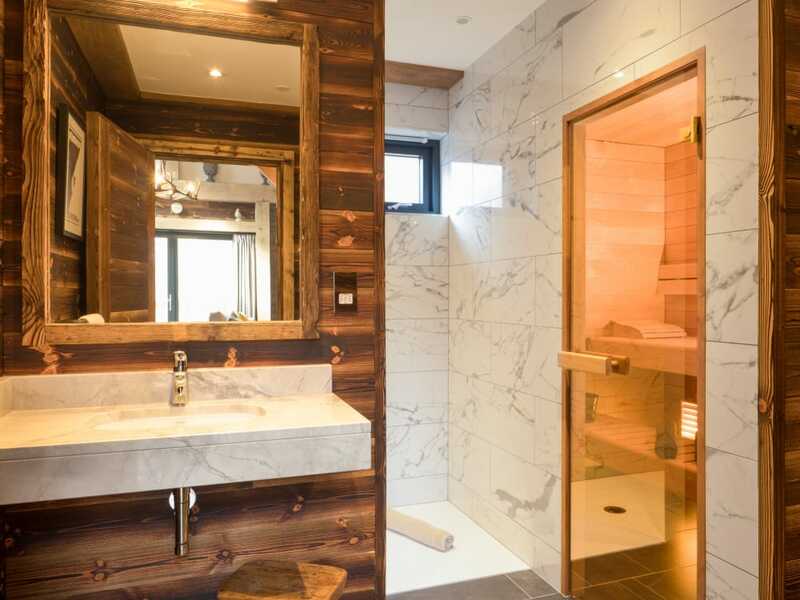 The principal bathroom downstairs features a Sauna for relaxing evenings in and a rain shower for modern comfort. 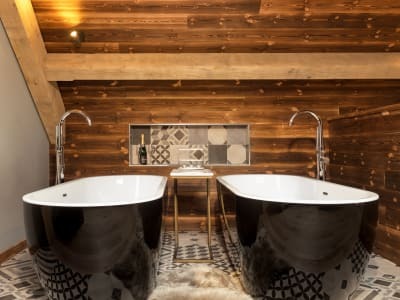 Upstairs in the galleried area there are twin side by side baths for 2 to relax in after a day of activity. 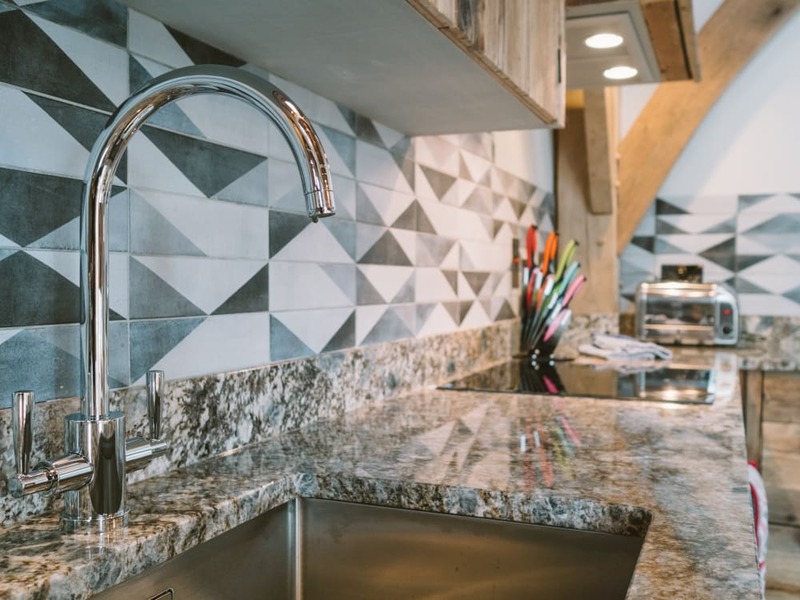 Everything is handmade throughout giving the lodge a unique style. 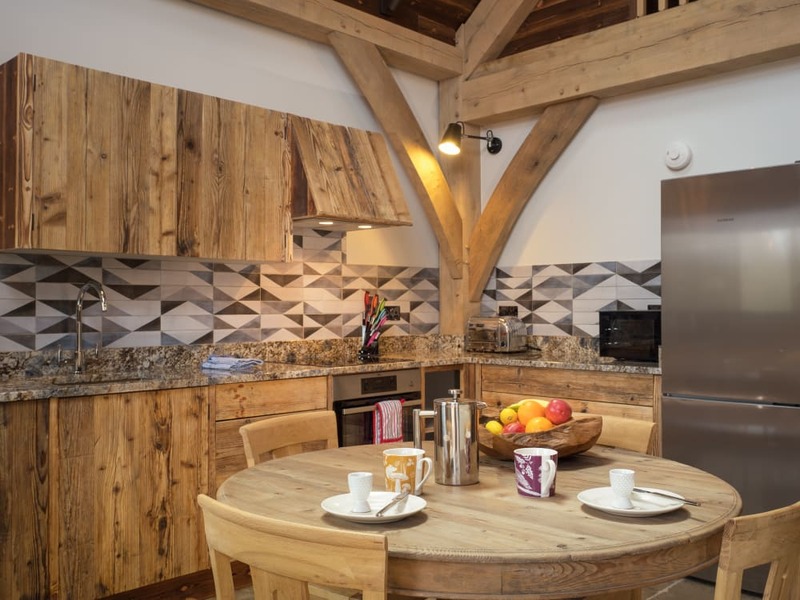 One of the most impressive features of Macdui Lodge is the double height open plan kitchen/dining/living space. 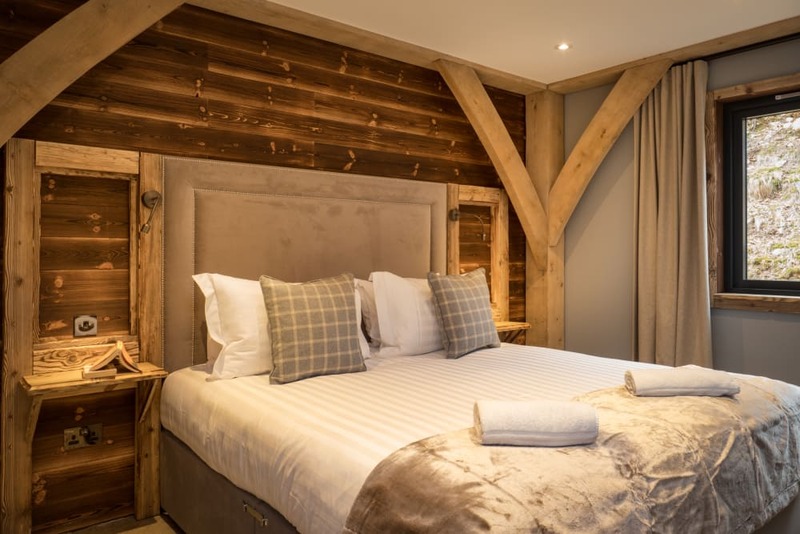 This galleried area provides ample space for cosy nights in front of the wood burning stove and also features a hand made kitchen with granite worktops and high end appliances. 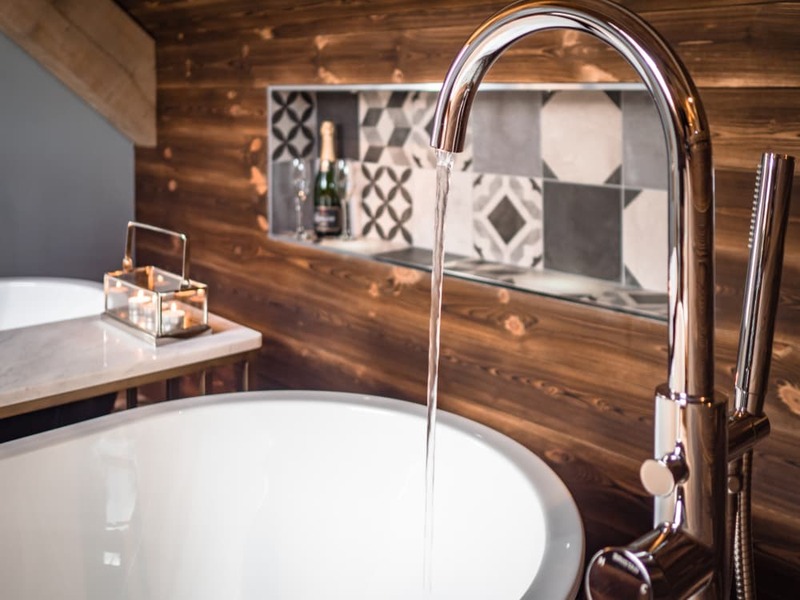 Macdui Lodge is heated by an air source heat pump and is extremely well insulated causing less of an impact on the environment and ensuring that it stays cosy all year round. Situated to the front of the site with steps leading up from the parking space, Macdui Lodge enjoys views of the River Spey from the decking to the front. 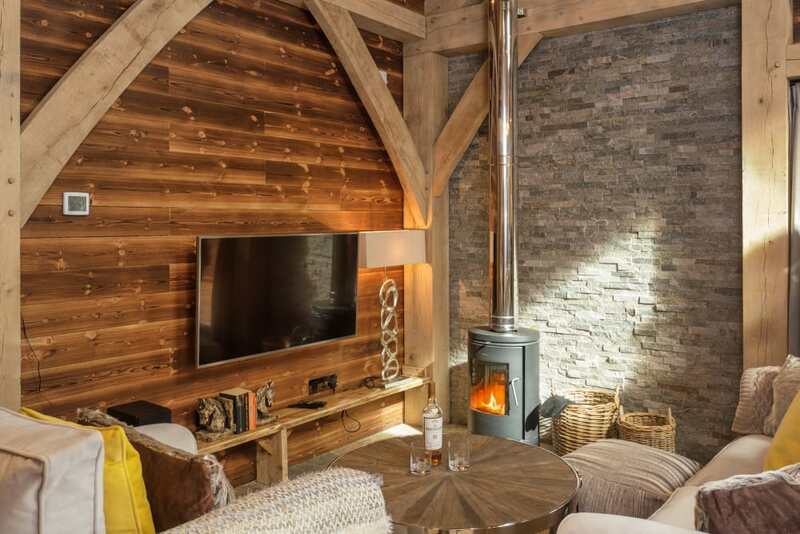 The lodge also features a Wood Burning Stove.